A good friend of mine, Mr David T Smith, has recently launched a new book. His book, Gin Tonica contains 40 different recipes for Spanish style gin and tonic cocktails. It was published by Ryland Peters & Small, 11th July 2017, £7.99. You can find it on websites such as Amazon. 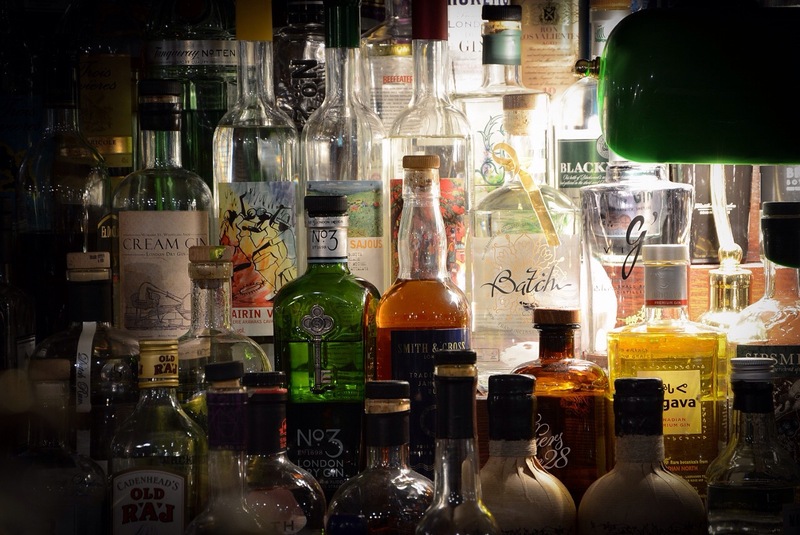 The gin industry is booming in Spain and the Spanish style serve has taken the UK by storm. The drink is served with a generous measure in large copa glasses and the garnish adds to the flavour as well as giving the drink it’s beautiful and creative appearance adding to the luxury and indulgence of the experience. This trend in Gin Tonics, now considered to be a national drink of Spain, began in the north, in Basque country, where we an walk int a bar and be presented with a cart containing everything you need to make a Gin Tonica, premium gin, best quality tonic water, bitters, spices, herbs and flowers. The drinks are served in the copa style. The idea behind these large glasses is not just generous portion. The shape is such that the drinker is able to enjoy all of the aromas. This is a long way from our old gin and tonics and the spectrum of flavours is amazing. Attention to detail is important and a barman can take up to 15 minutes to deliver the perfect serve. The ice needs to be dense so it melts slowly. “This respect for the classic is what truly elevates the Spanish gin tonica above all others.” There are so many different gins and tonics out there. It’s a fantastic time to get involved and start experimenting at home. David’s book is a fantastic place to start and will give you a wealth of ideas to play with. Recently I received an email from The Gin Lab asking me to write a review on Ledgers Tonics. I’m always keen to try something new and especially spend a bit more time looking at tonics as that part of the industry is really taking off at the moment. They kindly sent me out the three new tonics, flavoured with cinnamon, liquorice and tangerine to try out. The Ledgers story is an interesting one and the full story can be found at ledgerstonic.com. It begins in 1862 when Charles Ledger travelled into the forests of Peru in search of quinine from Cinchona Trees. At the time this was the traditional ingredient used by the Incas to heal malaria. He went on to discover a more powerful quinine that still carries his namesake. The Cinchona Trees were being cut down without being replaced so export was banned with threat of the death penalty. Despite this Ledger collected them and had them sent to London and across Europe, India and Australia. Nowadays many of the trees growing in India and Java have come from the collected seeds and the variety that he discovered is still though of as the best quinine in the world. The tonic flavours are very unusual. I began with the licorice. The idea behind this is to stimulate the sense of smell, allowing you to enjoy more of the aroma for your drink. The tonic is well balanced, soft and sweet and having done some research it seems that licorice can actually be rather good for the love life too. Feel free to look that up. Next up was the tangerine. The aroma of tangerine is strong and it’s a little more subtle on the palette. The lightly flavoured fruit would complement a lot of sweet and citrus gins. I like the tangerine. I found the flavour a little softer than the others but tangerine is a gentle flavour and a more hushed addition than orange or lemon which can sometimes be a little overpowering. This would be very good with delicate gins. Finally the cinnamon tonic. There’s a nice hit of sweet spice, but still very gentle in the tonic itself The idea behind this is that cinnamon stimulates gastric acids. Apparently it’s very good for you on it’s own and can help relieve stomach cramps and heartburn and there are even some cases of it lowering blood sugar. There’s a lot of power in that spice! All in all Ledgers are a very unusual range of tonic with a lot of history behind them. I would love to organise an evening trying these in lots of different gins and I can appreciate the extra scope on flavour to gins that they offer. Since Fever Tree notably upped the tonic game there are more contemporary tonics coming out with very inventive and fruity flavours. What I particularly like about the Ledgers tonics is that they are subtle. The hint of flavour is enough to keep a gin and tonic light and fresh, and the options are unusual opening a wider spectrum of flavours to offer gins. They are a very well balanced offering indeed. The Gin Lab run a mobile gin bar, offer support and customer service to trade (including helping design a G&T menu) and are also able to organise gin and tonic events. Ledgers gin is their newest offering and due for imminent release. For more information you can head to their site here. The wonderful Luke Benson of Fever-Tree came in to visit us at Gin and Olive back in May. Unfortunately I was unable to attend but he kindly left some literature on one of the worlds favourite mixers. Fever-Tree took its name from the colloquial name for the cinchona tree where they source their quinine from in the Congo. They pride themselves on high quality ingredients, no artificial sweeteners, preservatives or flavourings and a dedication to producing flavours that work in tune with gin. This gives each gin a whole spectrum for possibilities and flavours. Quinine has natural anti malaria qualities (it’s health benefits are also discussed in this interesting article in The Guardian). Allegedly it was used for this purpose in Peru in the early 1630s and it was originally added to sugared water to make Indian tonic back in the 19th century. This was drunk with gin when travelling warmer countries and with this, the most basic of gin and tonic was born. This original drink could also include lime to improve taste and help prevent scurvy. (If you’d like to find out more on gin history, I’ve also written a brief Fantastical History of Gin). Nowadays we have plenty of choice, including Fever-Tree Elderflower (that works beautifully with cucumber based gins such as Hendricks, Martin Miller and also more fruity gins) and Fever-Tree Mediterranean Tonic (made for savoury and orange/spicy gins). When did you join Fever Tree and what is your role there? I joined nearly 3 years ago now and I am the UK On-Trade Marketing Manager. I am responsible for communicating the key brand messages and marketing Fever-Tree within bars, restaurants and pubs across the UK. The Sicilian lemonade is by far my favourite. What’s yours? I love them all and each one has a time and a place and a perfect spirit partner of course but I would say the Mediterranean Tonic is the one that stands out. It is completely unique and it’s carefully pairing of lemon thyme and rosemary means it can completely transform a G&T. There are so many out there and I go through phases of liking different combinations. Martin Miller’s, Whitley Neil, Sipsmith, Chase GB extra dry and Bathtub are all favourites but I am currently loving Bobby’s Gin. It’s a dutch gin and it’s made with lemongrass and fennel and really stands out. What’s your favourite gin and tonic? I am always trying different gin and tonic combinations so couldn’t pick one. 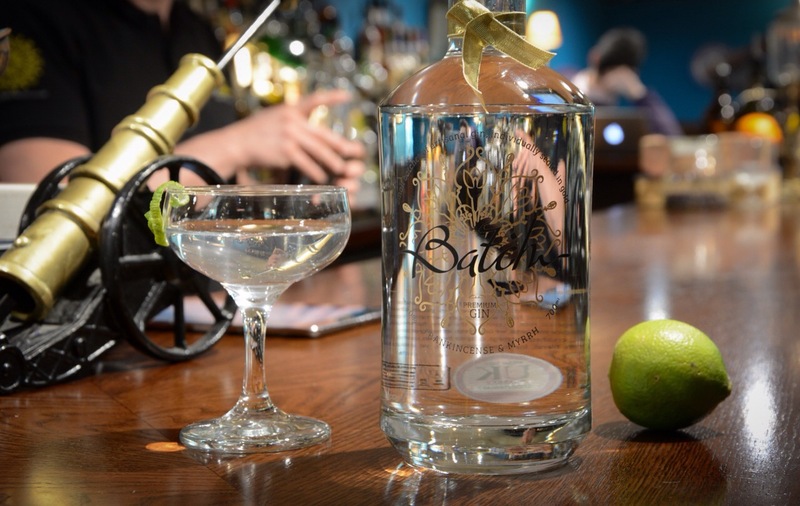 Whitely Neill and Bathtube gin go so well with our Mediterranean Tonic, Martin Miller’s with our Elderflower tonic or I am after a quintessential G&T then I turn to Sipsmith and Indian Tonic usually. Any new creations on the cards? We are always exploring new ideas but unlike a number of brands we don’t just launch flavours for novelty value. Each one has to be perfect and designed with a spirit in mind. We have just launched our Indian and Naturally Light Tonic in 150ml cans which we hope will make them ideal for travel use and accessibility. Do you get to travel much in your job? I have spent 5 months in New York City working on creating awareness of Fever-Tree over there. NYC is has one of the most influential bar scenes in the world and so it’s hugely important we are recognised over there as the world’s leading premium mixer. Otherwise I am lucky enough to work with so many amazing gin brands across the UK and often that means the occasional distillery visit or two to learn about how they are made and what makes each gin different. New York City! The cocktail scene there is something else. Any extra titbits you’d like to share? Always make sure you are pairing your gin with a top quality tonic, obviously. Distillers go to great lengths to create some amazing gins and carefully select the botanicals for a reason. The last thing they then want is for people to ruin their gin with artificial sweeteners and poorly balanced tonic waters that mask the taste! Fever tree produced their first bottle of mixer in 2005. Their attention to detail now sees them being used in 7 of the top 10 bars in the world. Last year they won the Cool Brand Status for the 4th consecutive year. The Mediterranean Tonic and Ginger Beer have won Gold Awards in the Soft Awards in the USA, and the Ginger Beer has won Best New Product at Tales of the Cocktail. I personally insist on fever tree in my gin and tonics and my bar only serve Fever-Tree. Over the last 10 years they’ve really established themselves and are now sat comfortably in the top levels of a big industry, and a very delicious one too. Paul Bower – Founder and distiller of the delightful Twisted Nose gin. Produced in Winchester, with hints of locally grown watercress and lavender, this gin is a homage to its surroundings and the wonderful gentleman who created it. Luke from Fever Tree, cream dela cream of the tonic world. 7 of the top 10 bars in the world use them and for good reason, as they only use the finest ingredients in their range of topics and mixers. An evening on HMS Diamond – 2 evenings on the new destroyer and I’m looking forward to both. A rum tasting evening with a representative from Pussers and a gin tasting evening presented by myself. Tom Edwards of Warner Edwards is hitting our own Gin and Olive, Portsmouth for a decedent evening with his gin. Guests will enjoy a 4 course meal paired with each of his 4 gins (the rhubarb gin is a particular favourite) whilst he talks us through his gin story. I can’t wait for that one. We’re also embarking on a distillery tour in the next few weeks. All in all, lots going on here at ginfluence head office. As I said to my mother last week, she (as a non drinker) had always worried that drinking was a problem, and I am close to proving it’s my solution!